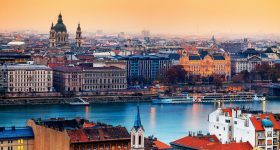 Hungary’s beautiful capital , Budapest offers a plethora to see, eat and experience but it would be a shame to have traveled all the way to Budapest and leave without seeing the snug towns lying a stone’s throw away from the city proper. 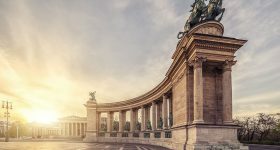 As and when you’re done cruising the Danube, lounging in the umpteen baths and drinking ridiculous amounts of local craft brews, step out of the city on a day trip to discover other facets of Hungarian culture. 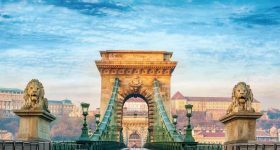 There are at least 50 odd quick day trips from Budapest we could think of, but for the sake of not confusing you further with options, we have narrowed down the ‘5 Best Day Trips from Budapest’ primarily based on ease of conveyance and sightseeing options in each city. We have also take special care to ensure that each of these day trips offer a different experience so, no matter what kind of traveler you are, you will find something to your taste in our curation. Enlisted below are the Top 5 Day Trips from Budapest. You can read in detail about each of them further below. The Danube origins from Germany’s Black forest and moves for a hundred miles from the west to the east. Close to Hungary, it takes a sharp bend and starts to flow North to South. This scenic stretch passing through picturesque peaks and lush riverbanks is called the Danube Bend. 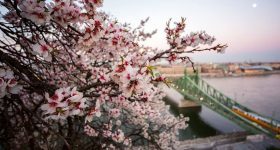 A typical Danube Bend tour covers 3 towns - Esztergom, Visegrád and Szentendre. 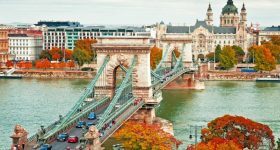 A day tour around these 3 towns on Danube is a popular day tour and a definite must for those who don’t want to go too far from Budapest premises but still take in a little more of Hungarian heritage. 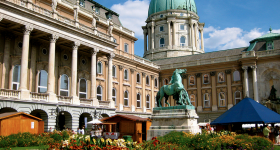 Esztergom was Hungary’s first capital and is home to the country’s largest Basilica. An exquisite example of Hungarian architecture, The Esztergom Basilica is situated on Castle Hill and dates back to the 16th century. 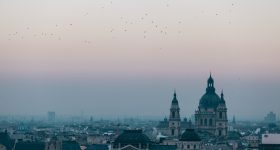 If you climb 380 steps to the top of the Basilica, you can enjoy a breathtaking panoramic view of the town.After visiting the Basilica and walking around Esztergom, you could drive across the river to Slovakia and take in the view of the Basilica from a distance. Though Visegrád is the smallest Hungarian town inhabiting just about 2000 people, it has the richest history amongst the 3 towns on the Danube Bend. While most of it has crumbled to rubble over the years, the 800 year old fortified Visegrad Citadel is a reminder of its splendid past. Not only is the Renaissance architecture overwhelming, but so is the view from atop the citadel. You can view the green Danube Valley from here and catch an aerial view of Danube river as well. Szentendre is a jewellery box town often called the artists’ town built on medieval ruins. The colourful baroque houses, cobblestoned alleyways, art galleries, quaint cafes and placid riverside has often served as inspiration for many Siberian & Hungarian artists, hence the nickname. Apart from being an art lover’s paradise, this town is delight for food lovers too. From Nyugati station in Budapest, take a train that runs to Esztergom via Vác. You can hop off here, explore the town and catch the same train to Visegrád. From Visegrád to Szentendre you can catch a local bus will take you 90 minutes to reach Esztergom. Bus number 880 BK-SZ from Újpest Station in Budapest runs to Szentendre, Visegrád and Esztergom ( in this order). This is a convinient and economical option. Get picked up from your hotel and sit in the comfort of an AC bus throughout your journey. Have a professional guide who walk with you through the streets and sights of Esztergom, Visegrád and Szentendre. While coming back, hop on a boat and experience the Danube Bend traversing through the waters. Note, the return journey via boat happens only during summers. Just 25 minutes outside of Budapest, Szentendre is a charming Serbian village often called the ‘artist village’ courtesy the fabled artists and creative minds who settled here in the 30s. Flaunting tiny shops and museums, baroque houses in a kaleidoscope of colours, rustic cobbled alleyways and a serene riverside makes Szentendre a truly inspiring neighbourhood. It doesn’t come as a surprise why they chose to stay there! Szentendre is a great place for foodies as well. If you want to taste on of the best Lángos in Hungary, head to Álom Lángos and savour an entire Hungarian flatbread all by yourself. We bet you will take a second one. Also, what say to a visit to the Marzipan museum for desert? 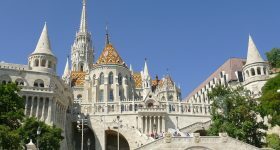 If you’re purchasing tickets from Headout, you get the opportunity to return to Budapest in a boat. Note, return via boat is arranged only from May-September. From May to September, you can take the boat from Vigadó tér to Szentendre and reach your destination in 1 hour 30 minutes. Get picked up from your hotel and sit in the comfort of an AC bus during your journey to Szentendre. 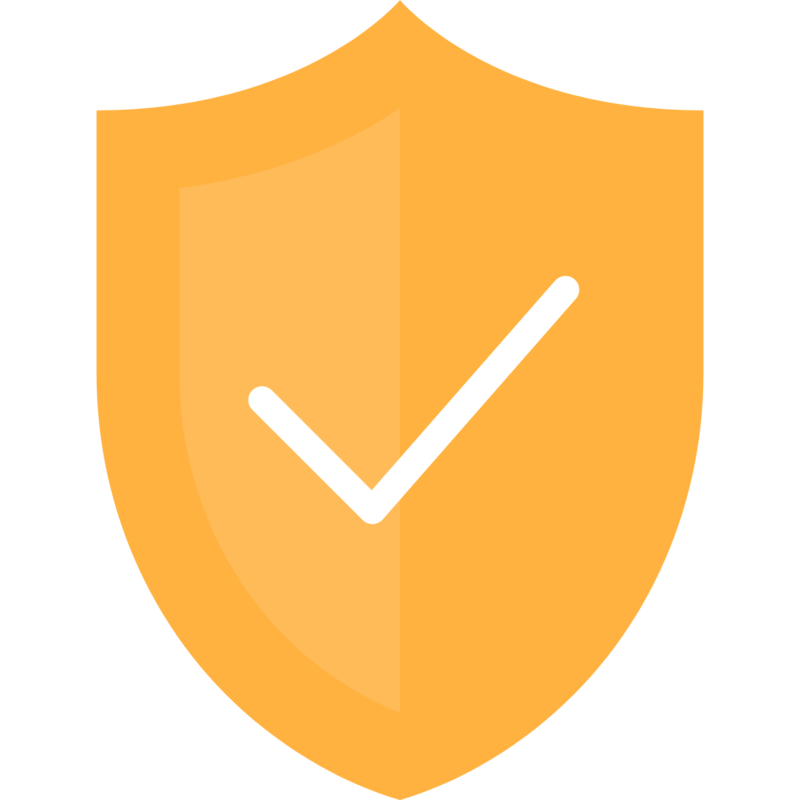 Have a professional guide who will be giving you live commentary on the passing sights and walk with you through the streets of Szentendre. While coming back, hop on a boat and experience traversing on River Danube. Gödöllő, a town in Pest Country is an hour away from Budapest and houses one of the most magnificent palaces in Hungary , namely the Royal Palace (Királyi Kastély). This palace also happens to be the summer abode of beloved Austrian Empress Elizabeth who was affectionately called Sissi and Austrian Emperor, Franz Josef.This has lead to the baroque manor Palace being nicknamed Sisi Palace and is a fantastic glimpse of the times during the Austro-Hungarian Empire. During your tour here, you can acquaint yourself with the secrets and stories of the royal family, walk through the lavish interiors and private rooms to espy the life of the royal couple. The botanical garden covering an area of 190 hectares around the palace is a great stroll through. You can also pet the horses in the royal stables and enjoy Hungarian pastries in the Palace Cafe after your garden stroll. If you’re going here in August, don’t miss out on the Hungarian Grand Prix that takes place in Mogyoród, a short drive from Gödöllő. This was where the very first Formula One Grand Prix was held and for obvious reasons pulls massive tourist hordes. If you’re an animal lover, head over the the famous Bear Farm located in Veresegyház, Hungary, about 10kms away from Gödöllő. The bizarre bear farm houses not just bears, but also many species of raccoons, reindeer and wolves. If you’re traveling with kids, this is a definite pit stop. This museum reflects the cultural and historical legacy of Gödöllői and houses an extensive collection of artifacts of the Art Nouveau era. If you’re an art lover, this museum will sweep you off your feet, rest assured. This beautiful park is another ode to Empress Elisabeth of Austria and is a charming space for outdoor lovers. You can choose to stroll by, have a picnic or just sit by the bench and people watch; you’ll cherish them all. You can even scoop some Hungarian ice cream and break free from the bustle of the town. If you’re up for trekking, there are many twisted woodland trails, so lose your way and find some gems. A spectacular location that melds a rural and modern atmosphere is the Lazar Equestrian Park in Gödöllő. If you’re lucky, you can catch a horse show or a competition alongside Trabant rallies. The park also allows you to hop on a hot air balloon and plays some fine music in the ranch that ups the mood no extent. You can take a train to Gödöllő from Örs vezér tere station in Budapest and reach your destination in 45 minutes You can check the route here. You can take a local bus from Puskás Ferenc Station to Gödöllő and and reach your destination in 45 minutes . This bus frequents every hour. Get picked up from your hotel and sit in the comfort of an AC bus during your journey to Gödöllő. This tour is inclusive of your entrance ticket to the Royal Palace with a guided tour of the palace. Eger is an ancient wine region nestled at the foothills of Bükk Mountains known for its wine making traditions, Turkish baths and soaring castle that overlooks the entire valley. While you’re here, make sure to try the famous Eger wine - Bulls’ Blood ( Egri Bikavér) which is a blend of around 3 or 4 grapes matured in oak barrels for a year. Also known as the Cathedral Basilica of St. John the Apostle , this colossal structure architected in neo-classical style dates back to the 19th century and is located on the Eszterházy Square. The flight of steps leading to the Basilica is flanked by statues of saints and is a sight behold. Eger’s best kept secret, Valley of the Beautiful Women is a world class wine producing region and getting to this hidden gem is quite a task. Once you do, take a tour of the vineyards and the cellar, then settle for lunch with a class of sparkling wine. The beauty of this valley is the way wine cellars are carved into the rock. The cellars here are carved into limestone rocks that knit into underground tunnels and are a sight to see. You can also drink wine directly from the cellar here! Located opposite the Eger Basilica, the Lyceum and Magic Tower is the perfect example of edutainment. Through interactive experimental devices, 18th-century astronomical equipments, camera obscuras and a planetarium, engage in an entertaining yet educational experience. You can also go to the library within the building and flip through years of history from their collection of over 60,000 books. This beautiful castle will transport you back in time to the yesteryears , to the years when it was a battleground upon which the Turks were defeated by a considerably small, yet highly patriotic Hungarian army of 2000 people, including children and women of the town. Hungarians are for obvious reasons very proud of this victory and the castle having been the backdrop for the win, it is etched into Hungarian history. You can take a local bus from Puskás Ferenc Stadion to Eger and and reach your destination in 2 hours. The bus stand is located in the heart of Eger, hence this is a better recommended mode of transport. If you're traveling by car, you will reach in under 2 hours as the roads are quite direct and easy to drive. 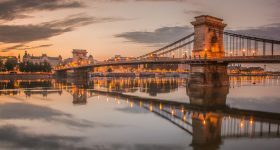 80 minutes out of Budapest lies a charming village lined with houses built in traditional Hungarian folk architecture dating back to the 17th century. Since 1987, 67 of the fairytale like houses are under the monumental protection of UNESCO and you’ll be surprised to know that this is first village in the world to have been adopted this way. There are just about 400 inhabitants in this village and though there isn’t much to see in Hollókő, sauntering about the village, walking by the washing ponds and white-washed Paloc houses and sampling some Paloc flavours is an experience in itself. Flaunting glorious views of fields and forested hills surrounding the fairytale village, the Hollókő Castle is a great vantage point to get a wholesome view of the UNESCO sight. Ensconced inside a beautiful white house, you can see ceramic pots and plaques being made on fired on-site in this workshop. If you’re adventurous enough, you can try your luck at pottery too. The Church of St Martin is a beautiful wooden church which was initially built as granary in the 16th century after which it was sanctified in 1889. Nothing to write home about, but a quick walk in and out does not harm. A peasant home converted museum , this simple museum of 3 rooms houses local folk pottery, embroidered cloth and painted furnitures and a wine press in the backyard. This museum exhibits over 200 porcelain dolls in Hungarian traditional costumes and is a great site to visit if you’re fascinated by the peculiar Hungarian attire. You can take a local bus from Puskás Ferenc Stadion at 8:30 AM to Hollókő and and reach your destination in 2 hours. 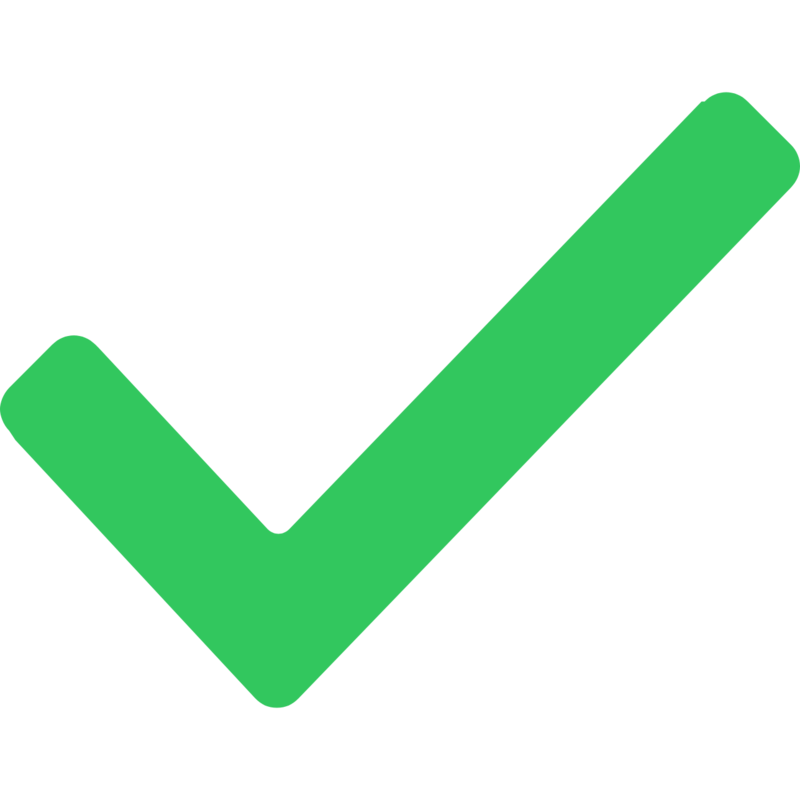 Traveling to Hollókő by car is best recommended as public transport links are limited.